In 1954, a British Overseas Airways Corporation Stratocruiser was flying between New York and London when it encountered a large, shape-changing UFO surrounded by smaller objects off the left wing while over Labrador, Canada. At a refueling stop, the crew was questioned by members of the US Air Force, and the encounter became a media sensation. 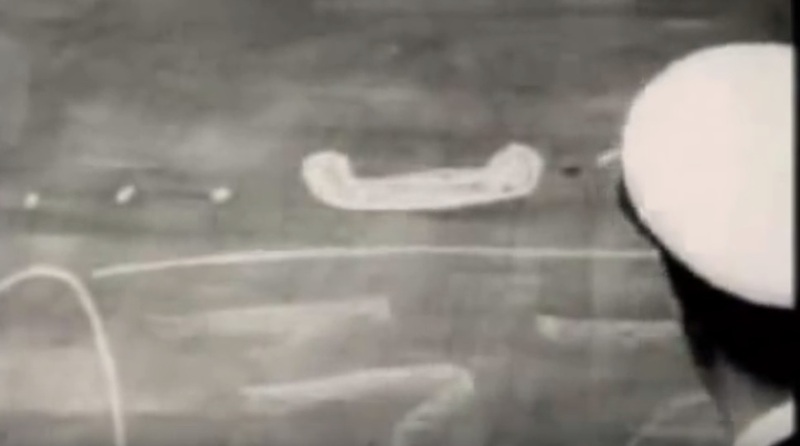 Captain James R. Howard, a former RAF pilot, claimed that the strange formation of objects had followed his aircraft for 130 kilometers (80 mi). Apparently, the objects were also tracked on radar at the USAF Cartwright Air Station in Labrador. It wasn’t exactly a flying saucer. What I saw . . . was more of a flying arrow I guess you’d have called it at one stage. It seemed to keep changing its shape as it flew beside me …much like a jellyfish assumes varying patterns as it swims through the water. Or maybe the apparent changes in shape were due to the different angles we viewed it from as it banked and turned. Whatever it was—a giant flying wing, jellyfish, or saucer—of these things I’m quite certain: It wasn’t a trick of light or a figment of the imagination. It wasn’t any sort of electrical, magnetic, or natural phenomenon. And it certainly wasn’t a mirage. In the first original footage, Captain James Howard describes the UFO sighting he had in 1954 as a pilot for BOAC. Many years later (second footage) he reflects on his sighting of 1954.